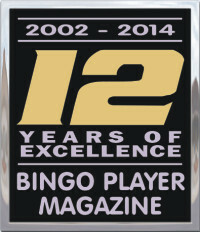 Bingo Player Magazine is pleased to celebrate our 12th Anniversary in print and online. 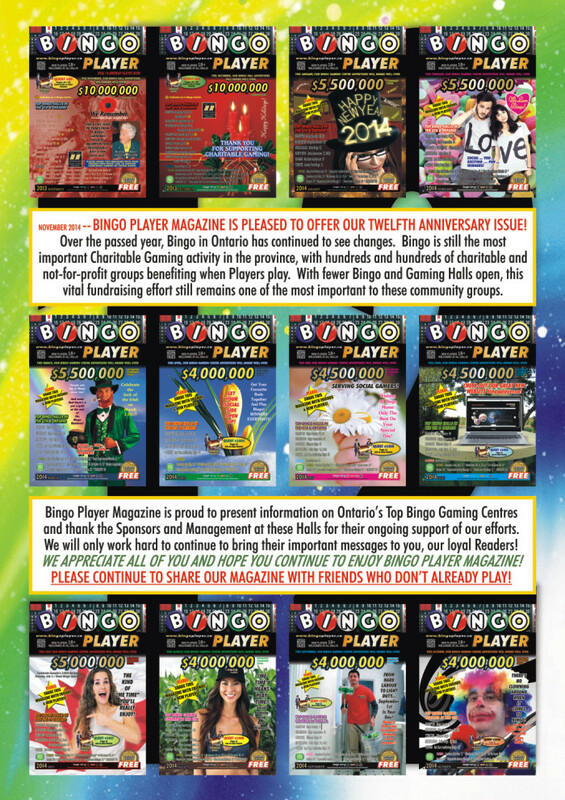 We appreciate the support of our Bingo Hall and Bingo Gaming Centre advertisers, including the support of the Sponsors and their Associations in these fine Ontario Gaming Centres. We will continue to work hard and try to bring even more information going forward. We know that you also miss seeing information for Bingo Halls that have transitioned to E-Bingo and E-Gaming. Please let them know they are missed in Bingo Player Magazine and on our website. Telling the Owner/Operator may mean even more. These Gaming Centres need the kind of help that we’ve always offered. We also want to thank our Readers, who take our magazines, enter our contests and show up at important Bingo events. We hope that each of you will tell your friends about the fun game of Bingo and the important value to the groups it supports. Bingo is about charitable gaming, no matter how it changes.